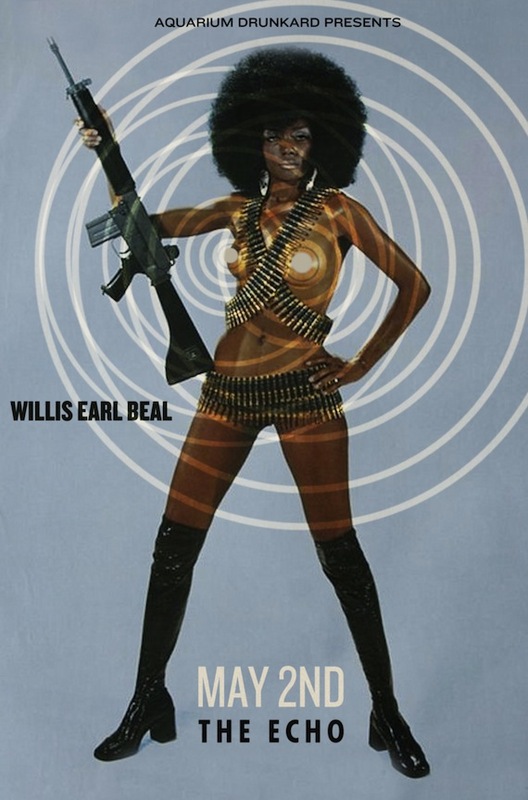 Wednesday, May 2nd, Spaceland Productions and Aquarium Drunkard present Willis Earl Beal at The Autry The Echo. I’ve been wanting to see this guy live for months – his debut LP, Acousmatic Sorcery, is out now via XL. We’re giving away three pairs of tickets to AD readers (you can also purchase tickets, here). To enter for a pair, leave a comment below with your name and a working email address we can reach you at. Winners will be notified via email prior to the show, tickets held at will-call. Would love to see this guy. I saw willis earl beal in boulder a few weeks ago with sbtrkt. It was an amazing showcase of his talents and if you can go free or not i would highly recommend it. I’m all in for this one. This will be so RAD! The venue change is a great idea; it’ll make the show all the more special to the lucky few who gets to see Beal up close and personal. I would love to see Beal in concert. I was blown away when you first posted his stuff. I’ve dug the few tunes you have posted by Willis so far. He’s got something going here. this would definitely be an awesome show – would love tix! If you give me the tickets I will sing you a song and draw you a picture.